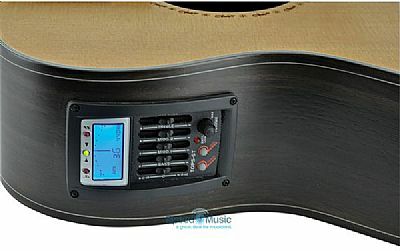 Salamander electro-acoustic guitars by Chord, have a solid cedar top and bound rosewood back and sides for a warm, resonant sound. 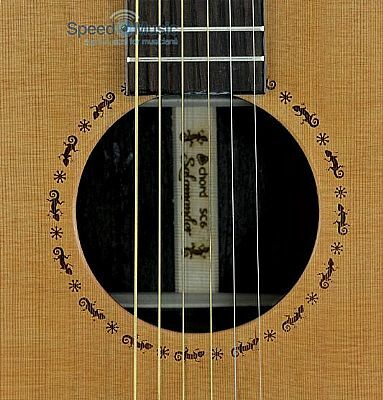 A clear satin finish protects the tone-woods without restricting vibration and the sound-hole decoration is laser engraved. Fingerboard and bridge are rosewood with an under-saddle piezo pickup and 4-band EQ/tuner. Designed for top level performance on stage or in the studio. Heavy duty guitar gig bag with internal foam to protect your instrument during transportation and storage. 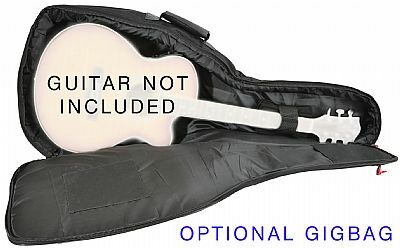 20mm internal foam padding, 2 carry handles and padded backpack shoulder straps, Reflective strip for night visibility, 3 front pockets are ideal for storing guitar accessories, Internally padded to keep guitar body protected, Neck strap holds the guitar in place, Heavy duty zip fasteners to withstand repeated use. All this for under £200!